Adds a high quality scoped hunting rifle in .44 caliber. 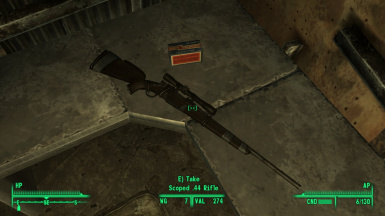 I got the idea for this mod from another mod I saw on here, it made the hunting rifle into .44 caliber. But it didn't work well in my opinion, so I made my own and decided to upload it. 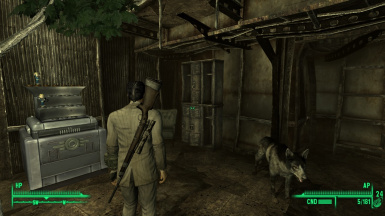 This mod looks best with Millenia's Fallout 3 Weapon Retexture Pack. It functions like an actual sniper, it'll kill most if not all NPC humans in 1 shot. 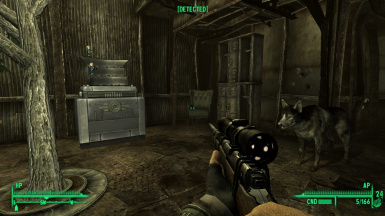 Now you can find it both in Megaton and in Tenpenny Tower if you choose to blow up Megaton.